More than 50 Safeway Corporation franchise locations chose FiberTite® roofing systems. Location: San Francisco, CA U.S.A.
At Safeway Corporation, suggestions can come from the top, but middle managers have the final say in the operation of their stores. 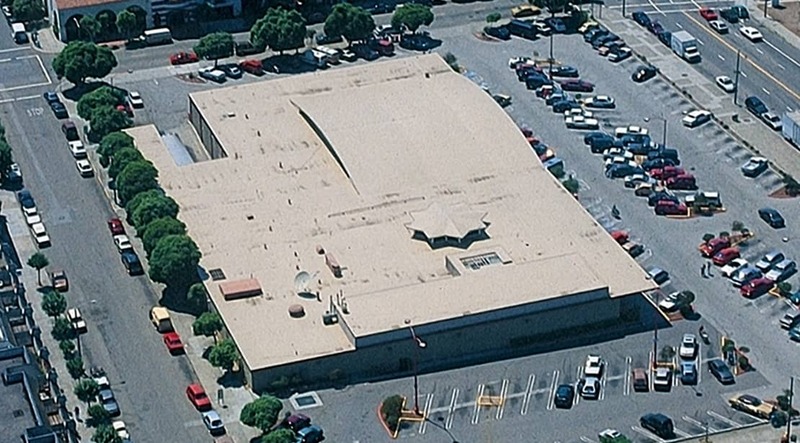 So when Randy McAdam, Facilities Engineering Supervisor for Safeway Stores, chose the FiberTite® Roofing System for his San Francisco Bay store, he passed the word to his independent managers. Comparing the true cost of a roof installation – durability over the long haul, fast, cost-efficient installation and an outstanding track record for minimal upkeep – more than 50 stores are presently protected by FiberTite Roofing Systems. Each one an independent decision, proving that good news travels fast. FiberTite is a product of Seaman Corporation, with more than 60 years of leadership in the development of high performance membranes. FiberTite Roofing Systems are based on a proprietary weave of strong and dimensionally stable polyester. This substrate is then sealed with a flexible, ultra-tough layer that includes DuPont™ Elvaloy® KEE in its exclusive formulation.